When you are hiring a removal company in Heywood, it is fair to say that you will be looking forward to having some help making sure your transition is made as smooth as possible. It is already so cumbersome to change houses, and if you are joining a new office, you might even be nervous or uneasy. Well, if you have decided to move with Littleborough Removals, you can certainly expect to have the helpful staff ease the task for you. Firstly, the company will provide you with high quality transportation to ensure that all the goods being transported are secured during the move. In Heywood, this removal company has been quite active. Its customers can also expect a friendly demeanour from the staff members, not to mention that the company itself does not charge any waiting time and they will dispose of any unwanted goods for you. It’s a known fact that it’s only when you move houses that you will find unwanted items that could be given away or are good for the trash, unless you are a hoarder of the highest order. One of the clients recently asked if the company could undertake the job as his destination was several hours away, Littleborough Removals will be happy to help you move wherever you want to go. They do have overnight and out-of-service available, if you think it will be a long journey, you might want to reach out to the company and confirm. Littleborough Removals, a reputable removal company in Heywood, will be happy to provide you with a number of additional services such as packing and storage in case that you might want to leave some huge or old items behind for later. Should you also need cartons, bubble wrap or crates, you can count on them. The company is here to make sure that you move without having to worry too much. 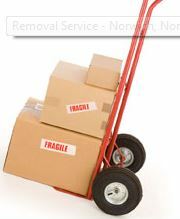 They are the company to go to, they will help to reduce the stress and the pains that generally accompany moving house. You can expect only the best from Littleborough Removals. If you want to find more about the company, do not hesitate to contact them. This entry was posted in Removal Company and tagged Heywood Removal Company, Removal Company in Heywood. Bookmark the permalink.